Thinking of building new business? 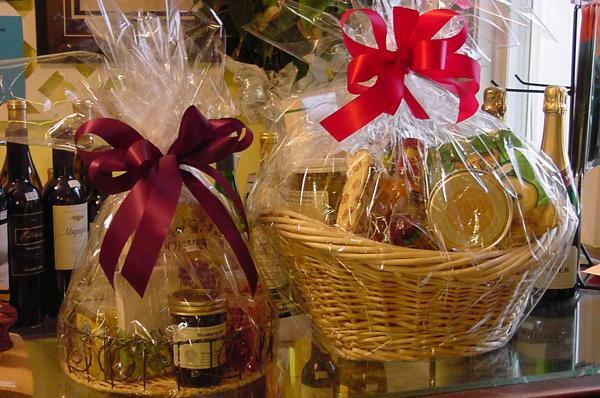 why not try gift basket themes and gift items business ideas? Believe or not, but difficulty level to make all these wonderful gifts is EASY! Giving your special people homemade gifts is definitely a gesture that will be treasured. And remember – the main ingredients in every gift you make are your true love, good thoughts and best wishes. Include your own homemade body care products like organic body butter, body scrub, cacao lip gloss, organic homemade shampoo, lip balm, face cream and perfume. Also add some organic teas, towels, massage oils, jelly bath, relaxing music CD, a book. Specialty coffees and creamers, coffee bean grinder, mug, coffee scented candles, cookies, chocolate, liquor, book about coffee and different recipes. Family photo, scrapbook, children’s artwork and other gifts made by kids, personalized blanket, family videos, microwavable pillows and slippers, chocolate, cookies, tea or coffee, a good book, ‘best grandparents’ mugs. Bottle of champagne, CD of couple’s favorite song or order a special personalized song for them, engraved picture frame, scented candles, massage oils, book of poetry, chocolate (chocolate body paint is also a good idea), coffee or tea (try tea from China). Use fresh or silk rose petals as a filler. Chocolate candy, chocolate bars, chocolate mix, hot chocolate, chocolate liquor, mocha coffee mix, some exclusive pieces of chocolate, chocolate scented candles and bath products, book about chocolate history and different chocolate recipes, homemade with chocolate covered strawberries, cacao mix, chocolate cream, chocolate sauce for ice cream, chocolate covered nuts and raisins, personalized chocolate, chocolate lollipop, chocolate chips. Baby powder, soap, lotions, pacifier, diaper pins, box of diapers, baby wipes, baby brush, bottles, tooth fairy pillow, bottle liners, little stuffed animal, baby blanket, clothes, toys. Mulled wine, gingerbread, CD of Christmas song compilation (you can make your own compilation of all time best Christmas songs), scented candles, matching mittens, some mistletoe, Christmas fragrant scents (cinnamon, orange, sugar), Christmas ornaments (maybe children made), decorative lights, box of sparklers. Books from the “greatest books of all time” collection, tea or coffee collection, hot chocolate, mug, fleece blanket (for cold winter evenings) gourmet popcorn, gourmet cookies, hard candy, personalized bookmarks, a blank book, pens. Small tea pot, tea ball, variety of teas, tea bag holder, tea bag squeezer, tea towel, tea infuser, sugar cubes, biscuits, jellies or jams, honey, lemons, dried fruit, shortbread cookies, chocolate or mint candy, lemon scented candles. Good book or magazine, a crossword puzzle book, playing cards, CD of relaxing music, hand lotion, scented candles, dried fruit, gourmet coffee, tea bags, hot chocolate mix, cookies, nuts, candy. This sites photos and category system is looking awesome and also nice the videos are.we have a site of <a href="http://www.reasonablegifts.com/">Wine gift baskets</a>you can see.